The New York Jets (11-5) will be taking on the Pittsburgh Steelers (12-4) for the AFC Championship. 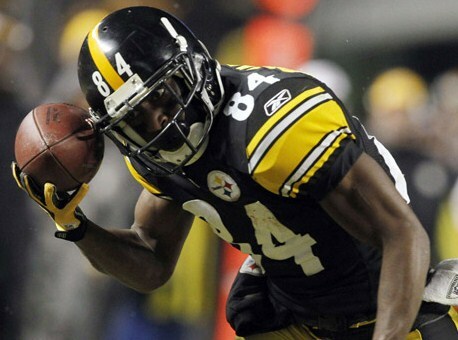 The Steelers had a come from behind win 31-24 against the Baltimore Ravens. The Jets pulled off their second win against the Patriots this season 28-21. The Jets played the Steelers once this season, with the Jets scoring the last 12 points in order to come out with the victory 22-17. The game had been tied three times until the Jets pulled ahead on a field goal in the fourth quarter. A safety by Jason Taylor with 2:45 left in the game put the Jets up five, and required the Steelers to score a TD in order to win the game. With 2:08 left, Ben Roethlisberger drove the ball from their own 8 yard line down to the Jets 10. He ended up throwing two incomplete passes into the endzone as the final seconds ran off the clock, giving the Jets the win. The Jets will have to go back into Pittsburgh and win again in order to make it to the Superbowl. The Jets second win over the New England Patriots has propelled them into the AFC Championship game, and a date with the Pittsburgh Steelers. This was the Jets second win in the playoffs against a quality team, and their third win in a row. They didn’t set the world on fire, but they held the Patriots best scoring offense (32.4 pts) to two field goals instead of TD’s, and took advantage of good field position and a couple of big plays. 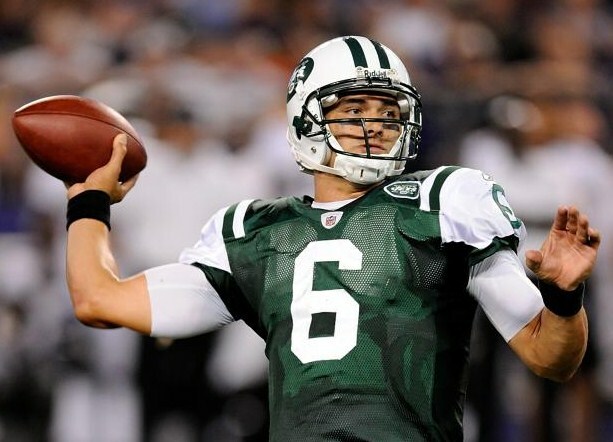 Mark Sanchez was 16-25 for 194 yards and 3 TD’s. Jerricho Cotchery and Braylon Edwards accounted for 148 of the 194 passing yards, with almost two-thirds coming on two plays (58 yds to Cotchery and 37 yds to Edwards). 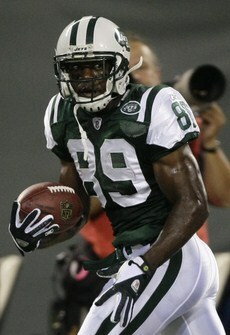 Shonn Greene did an admirable job rushing 17 times for 76 yards, and scoring a TD on a 16 yard run that sealed the win. The defense made plays when they had to, holding the Patriots to 5-14 on third down conversions. David Harris had 9 tackles and an interception, and Shaun Ellis had 2 of the 5 Jets sacks in the game. The Patriots actually had 12 more first downs, passed for 105 more yards, and had the ball 9:52 longer than the Jets. The highest scoring team in the league just couldn’t score enough, and the Jets came away with the win 28-21. The Steelers had an even more difficult time making it to the AFC Championship game, as they had to come from being down 21-7 against the Ravens in the first half. This was the Steelers third win in a row, and they are now 9-0 (3-0 against the Ravens) in the playoffs against teams in their own division. This was a game of turnovers and two different halves. The Steelers gave up two fumbles in the first half, and the Ravens only had to go 16 yards to put up 14 points. The Ravens gave up three turnovers in the third quarter (within 9 minutes), and the Steelers only had to go 54 yards to put up 17 points. 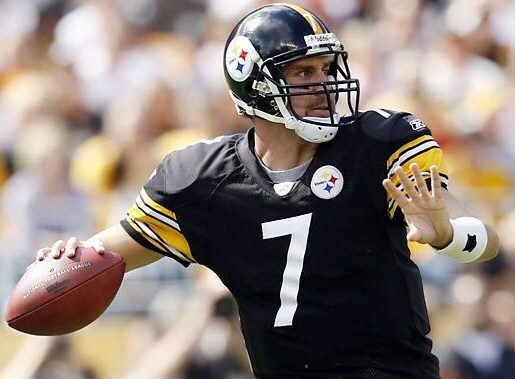 Ben Roethlisberger ended the game 19-32 for 226 yards and 2 TD’s. The only long scoring drives of the game for Pittsburgh were on their first possession (80 yards), and their most important last possession (65 yards). Rookie receiver Antonio Brown (3 rec, 75 yds) stole the show with his ball to the helmet 58 yard catch with 2:07 left in the game, which led to the Steelers go ahead TD. Lawrence Timmons (7 tackles) and James Harrison (5 tackles, 3 sacks) helped the Steelers hold the Ravens to 125 passing yards and only 35 total rushing yards for the game. The interception by Ryan Clark was crucial to setting up the game tying TD in the third quarter. The Steelers turned the game around in the second half, and ended up with the win 31-24. The Pittsburgh Steelers will host the New York Jets for the AFC Championship game. This will be the Steelers fifth AFC Championship game in the last ten years. The Steelers (13-4) are a win away from their third Super Bowl in six seasons. If the Jets (13-5) win, it will be their first Superbowl appearance in 42 years. This is the Jets second appearance in a row in the AFC Championship game, as they attempt to go further than they did last year. The Steelers are 16-4 against the Jets overall, and beat them in their only meeting in the playoffs in 2005. The Jets have won the last three out of five games against the Steelers. When you look at the quarterback comparison, Ben Roethlisberger has the experience, is also more accurate, and throws fewer interceptions than Mark Sanchez. However, Sanchez plays better in big games, as his passer rating of 92.2 in the playoffs is 22.0 points higher than during the regular season. 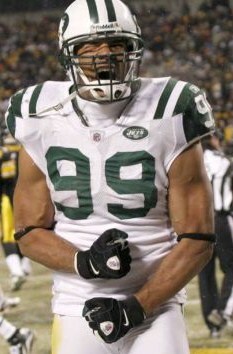 The Jets only gave up 28 sacks while the Steelers gave up 43 prior to the playoffs. Both teams have a good receiving corpse. While Sanchez likes to dump more to his tight end and running backs, Roethlisberger sticks mainly to his wide receivers. When it comes to the running game, the Jets are fourth in the league, averaging 148.4 yards per game. They share the load using two backs, while the Steelers utilize one main running back, and were ranked eleventh in the league. The Jets 106 yards and the Steelers 146 yards in their last meeting, were the most rushing yards given up all season by both teams. The Jets need to have success running the ball, and Sanchez needs to play mistake-free football. The Steelers just need to play like they do, under control, with a good mixture of runs and passes. The Steelers have the number one ranked defense in the NFL. They have a +17 turnover ratio, collecting 21 interceptions, while the Jets had only 12 interceptions on the season. The Steelers are number one in fewest rushing yards allowed (62.8) per game. The Steelers were also ranked first in giving up only 14.5 points per game this season. The Jets 22 points scored against the Steelers was tied for the second highest point total against them all season (although Troy Polamalu did not play in that game). The Jets have a pretty good defense to speak of as well, as they were ranked third in the league allowing only 90.9 yards rushing per game. They were also ranked sixth in allowing only 19.0 points per game. The Jets need to pressure Roethlisburger, stop the running game, and avoid any big plays by the Steelers offense. The Steelers defense needs to get to Sanchez and pressure him to make mistakes. This should be a fairly low scoring game, with both defenses controlling the tempo. It would be to their benefit if the Jets can get the lead early, although that didn’t help the Ravens against the Steelers last week. The Jets will need more than 21 points to win. With Roethlisberger’s ability to deliver game-winning drives (25), the Jets better hope they are ahead by more than 8 points near the end of the game, or their offense better have the ball! ~ by Troy Erickson Realtor on January 21, 2011.